Samsung once again organized one of its grand Unpacked events. And in the end, everyone was wondering. Is there anything actually new about the latest iteration of the Note line? It’s the culmination of a series that has always sought a place next to the Galaxy S line, but Samsung seems to be saving its creative juices for 2019. Samsung has maintained two high-end series beside one another for year. There was the Galaxy with the S and the Galaxy with the pen. The S class has grown in size. And the Note? It has still held onto its stylus all this time. And now let’s move to the release of the Note 9. I’ll concede. It’s all good: fast processor, huge battery, etc. That’s everything that makes for solid performance, but you won’t find much formative innovation that can’t be found elsewhere. Is that enough to stand up to competitors like Huawei, OPPO, OnePlus or others? OnePlus, Honor and many others are still cheap, but they’re all fast. OPPO is creative and ambitious. Huawei boasts a large battery. The list goes on and on. 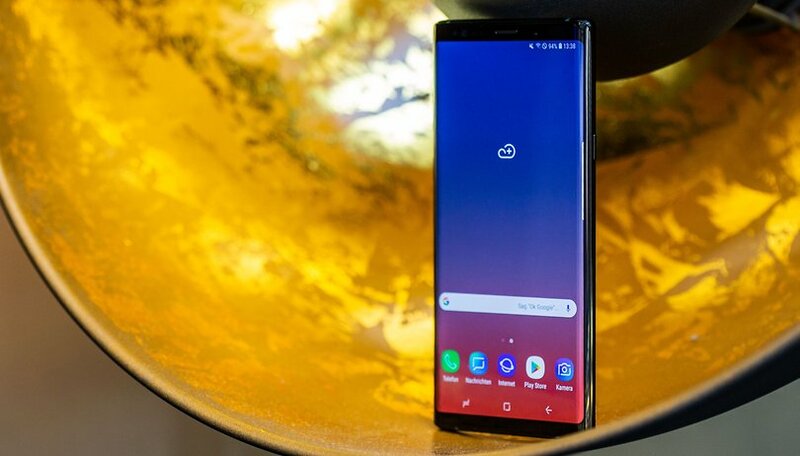 But apart from being from the established Samsung brand, the Note 9 doesn’t offer any other compelling reason to buy it. Other manufacturers have been taking more risks and actively looking for ways to stand out. The Note 9 seems strangely dull. A new pen? Hardly any users really need it. DeX can now also use HDMI? Great, but that only makes one unnecessary feature a little better. Samsung wants to attract users who use smartphones productively, but what value does the Note 9 add in comparison to a Galaxy S9+? It’s doesn't offer enough to be so expensive. There are no clear distinguishing features on Samsung’s two series. As it stands now, I can’t find a compelling reason to purchase a Note 9, which essentially contains the hardware of the S9+ and adds an S-Pen. Things could get interesting when Samsung introduces its supposedly legendary foldable smartphone next year (perhaps as the Galaxy X). This might mean that the device would come with a considerably larger display. With an S-Pen you’d suddenly have your own little notebook. And as a niche product produced in small quantities, the Note 9 has the exclusive rights for Fortnite on Android, at least for the time being. 2018 seems like a transition year for Samsung. The classic new devices were somehow necessary, but there was no guiding concept for any of the new hardware. The tenth S is due in 2019, and the design should finally be ready for the market, perhaps with a new and revolutionary touch. I can imagine it. Samsung needs to start breaking ground with new ideas. The Galaxy brand is still pulling in big sales numbers, but that won’t work forever. The Galaxy series needs some polishing, a new watch and home speaker aren’t enough. What do you think? Is Samsung playing it too safe? I'll wait for the note 9 to drop in price. I have the S8 now, and it is still Good at a year and a half later. still have 44 gigs of storage open and a 128sd card with 117 gigs on it, battery life still good. I downloaded about 100 + apps on it. So I'm gonna wait and see what comes out next.